Professor Costas Grammenos CBE DSc has been honoured with a Lifetime Achievement Award at the Lloyds List Global Awards 2018 in London. It is an important honour for Professor Grammenos, the founder and Chairman of the Centre for Shipping Trade and Finance at Cass Business School, who is described by Lloyd’s List as a “leading global authority on shipping, trade and finance”. 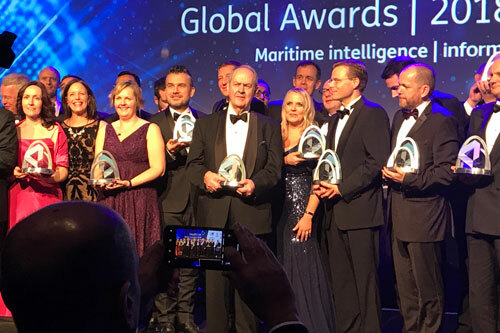 Professor Marianne Lewis, Dean, Cass Business School said the award was a testament to Professor Grammenos’ standing in the international shipping community and his role as “influencer of the influencers”. Professor Grammenos said he was humbled to receive the award. It pioneers postgraduate studies in Shipping, Trade and Finance and Energy, Trade and Finance and offers the first specialist MSc degrees in these disciplines. Through its research, its unique blend of theory and practice in teaching and its creation of international dialogue, the Centre has gained international recognition among industry leaders, policy-makers, government and academics.